Just 6 days to go until the first game, seems like just the right amount of time to be scrambling! Hi everyone, I hope you all had a great off season and are back and ready for another season of scrambling! With just under a week to go until our first lockout and game I thought I would drop past with a few bits of info to help you in that all important run to lockout. I am sure you all watched the JLT with notepad and pen in hand ready to jot down every significant tackle, kick, handball and free kick given away. Now it is time to crunch all of those numbers and work your way through to finishing the construction of your team! As we head to the first round lockout in just 6 days there is one important thing to know… How does Lockout work for round 1? AFL Fantasy: The AFL Official version will have a Partial Lockout which means that Richmond and Carlton players will be locked after the first game on Thursday Night with all other players free to be moved around. As at the start of the Collingwood v Western Bulldogs game All Other Players will be Locked! So at that point we will know squads for Sunday at least so that we will have a bit of certainty about the rookies. Sportsdeck Real Dreamteam: This competition will have a Full Rolling Lockout across all games for Round 1 before it reverts to its regular Friday Night Lockout for the rest of the season. So this means as each and every game starts over round one those players will be locked out with all others free to move around. This will let us have a good shuffle around of rookies as we head towards the Sunday games. Supercoach: This doesn’t really affect Supercoach as it always has a Full Rolling Lockout. Draft Leagues: Check the setup of your league as each and every league is often different. 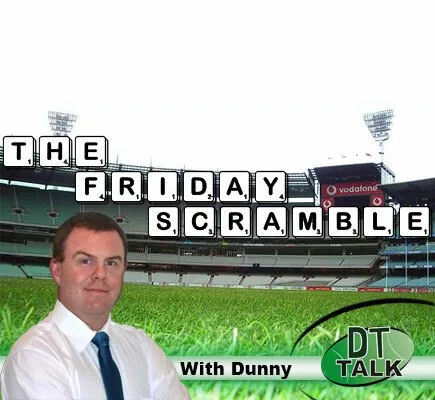 In case you missed it there are a heap of resources here on DT Talk that will help you over the next few days setting up your team. Hopefully all of the above should help you get your team set up! Ideally you should be getting all of your leagues full and set up prior to the start of round one. Some comps will lock down your leagues at the start of round one. If your league isn’t full then you will have your league filled up with other random people. In AFL Fantasy you can decide when your league will start, the default setup has them starting at round 2 so you have til then to fill your league up. Supercoach and RDT usually close off league entries sometime over the weekend of the first round, so be ready before round one to be safe. To help you get a leg up, use the comments of this post to put your league codes up for those that you are trying to fill. I am sure there are many other DTTalk readers that would like to help you out by joining up. Here are a couple that you can join in with me. Don’t be blinded by the JLT Series. There are always pre-season bolters. Don’t get sucked in by them. They may have been great because someone else wasn’t playing. Use all the resources you can. You can never have enough information. Check injury lists. Keep an eye on them up to day one of the comp. Rookie Upgrades. Watch social media and the AFL site to see if any of the rookie listed players have been upgraded. Best of luck with the season all, I hope you have your best ever and finish second overall (because I am planning on being first of course). I will be back on Friday mornings again this year throughout the season to answer questions and give some advice. Look out for my tweets during the year to see when I ask for questions and if you respond with a good one I will try and answer it on the Friday morning. Hey mate i got 12 atm teams in a $100 buy in cash league. Interested? Gents – looking for some tough competition and good banter this year. Everyone come prepared, be on early. Good Luck Have Fun! Our #DraftNight26 is starting this evening in Geraldton WA. The very first DraftNight in 1992 seems like only yesterday. As one of our stalwarts always says, “Draft night is better than Christmas!” Australian Fantasy Football certainly has come a long way since then. Best of luck to everyone this season. Isaac Smith or Touk Miller for F3? any draft leagues stating tonight I can join? Anyone free to join for a challenge and some banter! Currently have 12 teams in $100 buy in cash league. 6 spots remaining. Facebook group chat, full of banter, good bunch of people. Anyone interested? Are we all still waiting for Barrett to be upgraded? With Darcy Cameron out (for this week) are coaches dumping him or staying strong at R3/R4?